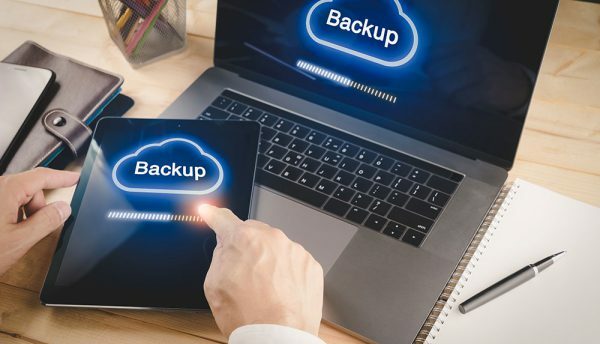 Mohamad Rizk, Manager system Engineers, Middle East at Veeam, draws attention to the importance of World Backup Day and makes business leaders question whether their backup and recovery strategy is reliable and serves their business needs. World Backup Day 2019 was celebrated on the March 31. The concept of backups is controvertible for businesses with a clear vision and strategy. Some executives will tell you that having a ‘plan B’ means that plan A will never work. There is one type of backup option which is almost universally agreed on as being a necessity though. When it comes to file storage and applications, backup and replication is widely considered a given. In practice, however, the importance of backing up is sometimes overlooked – an error which no business should fall foul of. Whether it’s due to outages caused by hardware failure, cyberattack or user error, you always need a plan B when it comes to business continuity and protecting the availability of data. When disaster strikes, IT departments are under pressure to minimise the impact of employees and customers as much as possible and this is a continuous effort rather than a job which can be done once in a while. World Backup Day is an opportunity to remind businesses of the importance of protecting their data and having a disaster recovery plan in place. According to statistics from the Market Research Future, the cloud backup market is forecasted to reach US$5.6 billion by 2023, growing at a CAGR of 21% over a five-year period. Given the explosion of the global cloud computing market, which is expected to grow to US$623.3 billion by 2023 at a CAGR of 18% over a five-year period, this growth in cloud backup is fairly unsurprising. It is still encouraging though to see that businesses are clearly planning to invest in backup and replication and taking data availability seriously. After all, consumers are certainly beginning to take their own data much more seriously, with newsworthy events such as Cambridge Analytica and GDPR bringing personal data into mainstream public consciousness. The advent of GDPR also opens up the issue of consumers requesting to view their personal data – with businesses having a maximum of one month to respond to their request. 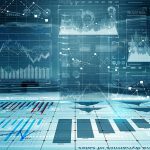 What businesses must remember, however, is that consumers, employees and customers live and work in real-time. In reality, people expect the information they request to be available at all times and shared with them in near to real-time. It goes with the territory of being able to Google the answer to whatever question pops into your head or ask Alexa how to carry out any task imaginable. So, backups need to be running as and when data is altered to ensure that the fundamental information and systems on which the business relies can be recovered to the state they were in when an outage of fault occurs. Solutions such as Backup-as-a-Service (BaaS) and Disaster Recovery-as-a-Service (DRaaS) provide continuous protection to business continuity. Using op-ex based pricing, the ‘x as a service’ model allows businesses to pay for services based on what they use, rather than making restrictive capital investments up front which lead to IT wastage. Crucially, organisations need to see their backup and recovery services as a fundamental part of their wider data management and cloud strategy. Veeam Availability Suite provides a holistic solution for backup and replication to the cloud and disaster recovery, delivering availability across all workloads – virtual, physical and cloud – from a single management console.